Very often we see many brands of cycling clothing out in the market. There is an myriad selection of both materials as well as brands in the market. 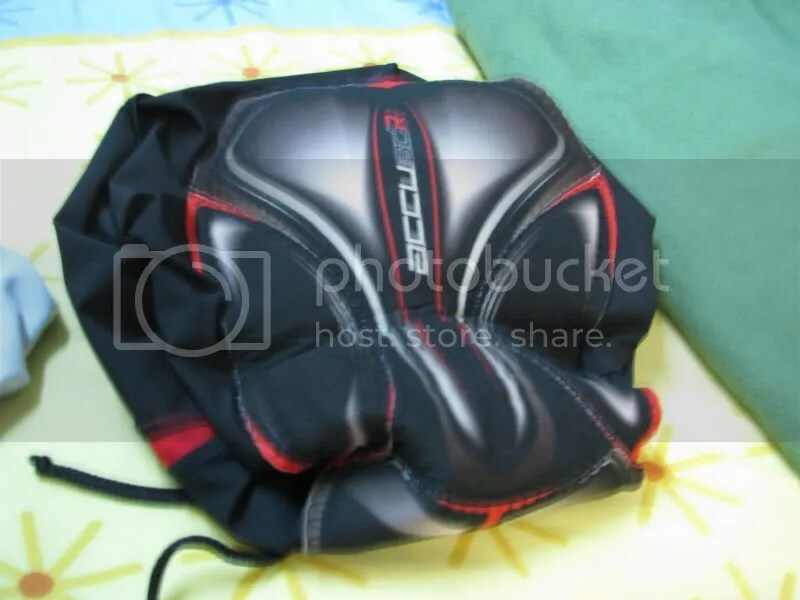 In recent years, besides the traditional manufacturers such as Sugoi, Assos and Castelli. There has been an increase in the number of counterfeit/non genuine clothing manufacturers from China. Besides being cheaper, consumers may even customize the designs of their jersey at a fraction of the price instead of using traditional more expensive brands such as F2P and Champion System. So is the China manufacturers as good as the more expensive brands or is it just a cheap imitation? While I do not have that many jerseys which are expensive, I do have a counterfeit jersey set as well as other jersey made by different manufacturers. 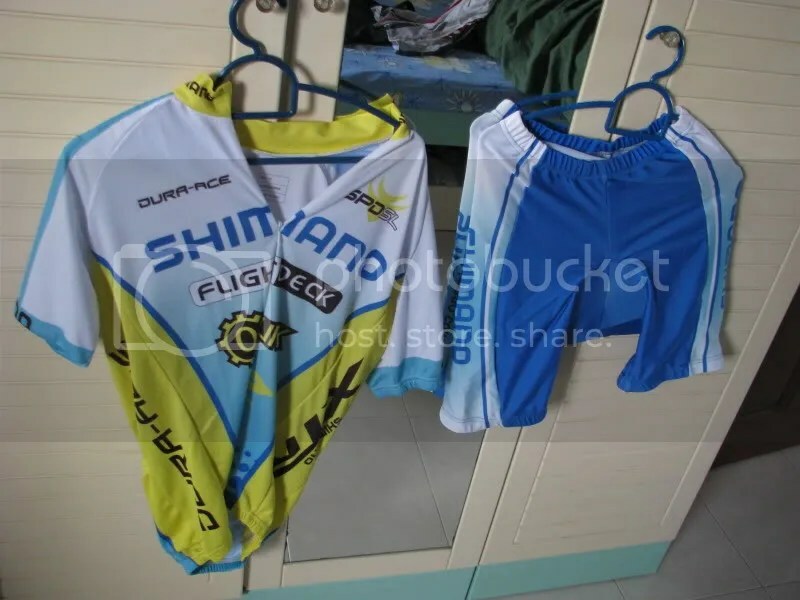 For comparison sake,I will be comparing an counterfeit jersey set made in china(I bought it at an flea market in Hong Kong) to a Shimano Accu3D jersey set which retails at approximately 200+SGD for both the jersey and the tights. In comparison, the China knock off jersey can be bought at alibaba or aliexpress for a little over US$40 for both the jersey and tights. 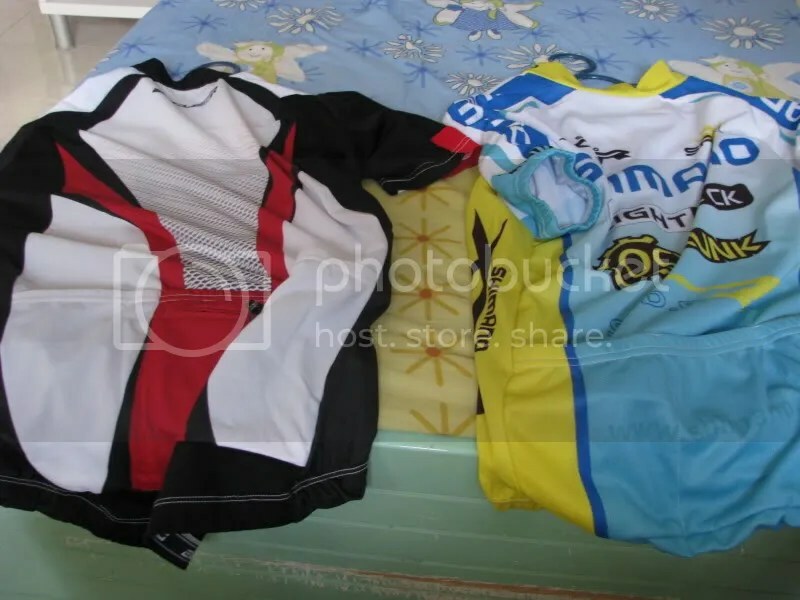 Initially, felt that the counterfeit jersey has a much better feel than the Accu3d jersey. But upon wearing the jersey I felt that the Accu3D jersey feels thinner. The counterfeit jersey has a strangely familiar feeling almost same as those of the typical sportswear clothing. Upon closer inspection of the jersey reveals something else. The top material is the accu3d jersey while the bottom is that of the counterfeit. Doesn’t the bottom materials looks like dri fit material ?While this material is good at transferring away sweat from the body, I don’t like it on long rides where the material will become sticky and stick to the skin.While the accu3d jersey doesn’t state its material (its just state 100% polyester)I haven’t used it for really long rides.But so far, the jersey feels pretty dry after rides. Also,the accu3d jersey seems a little tighter for that more “aerodynamic” so while it might good for those that race occasionally and for those that have acquired a spare tire,they might find a little discomfort. 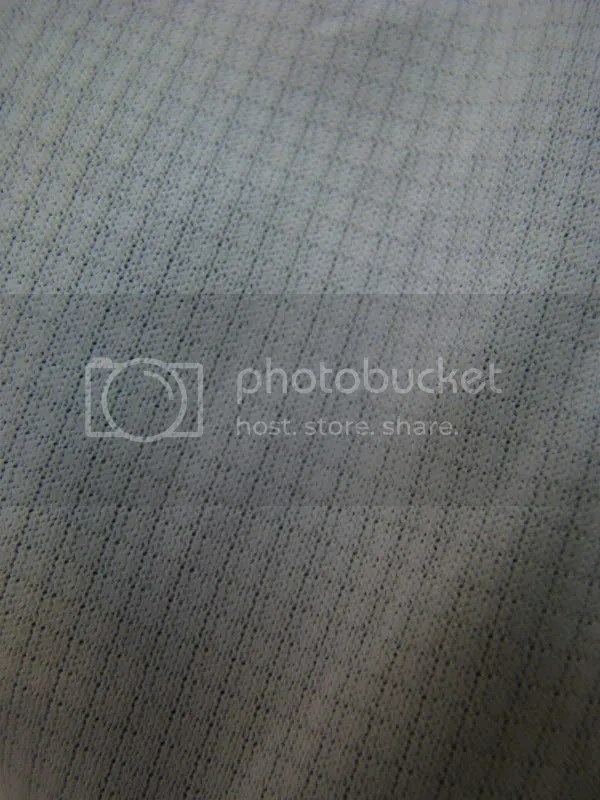 As for pockets,the accu3d jersey has a zipper for the middle pocket! 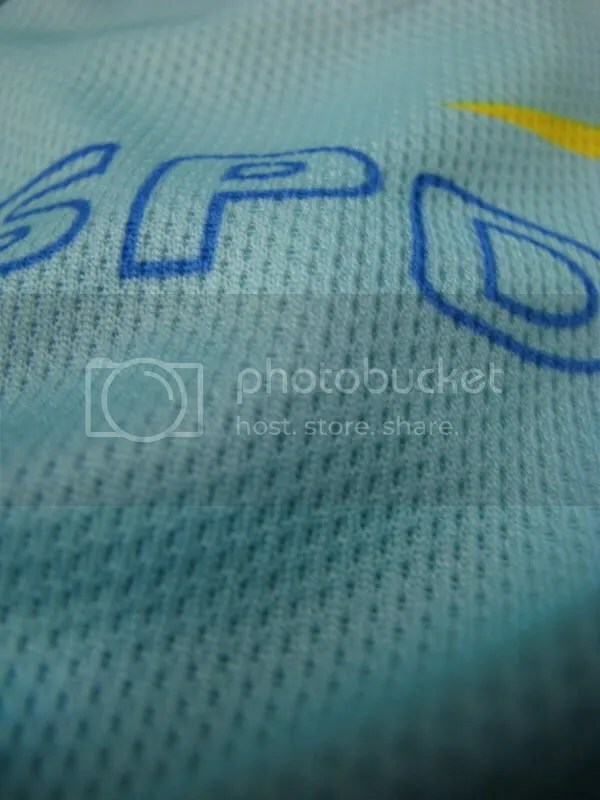 While the counterfeit jersey doesn’t have it.While not a necessity, it is good for those that are afraid their mobile phones,cash might ejaculate out of the pocket suddenly while passing through some potholes or rough terrain. Since I both sets that comes with matching bottom, thought its is more fair include it in this article. 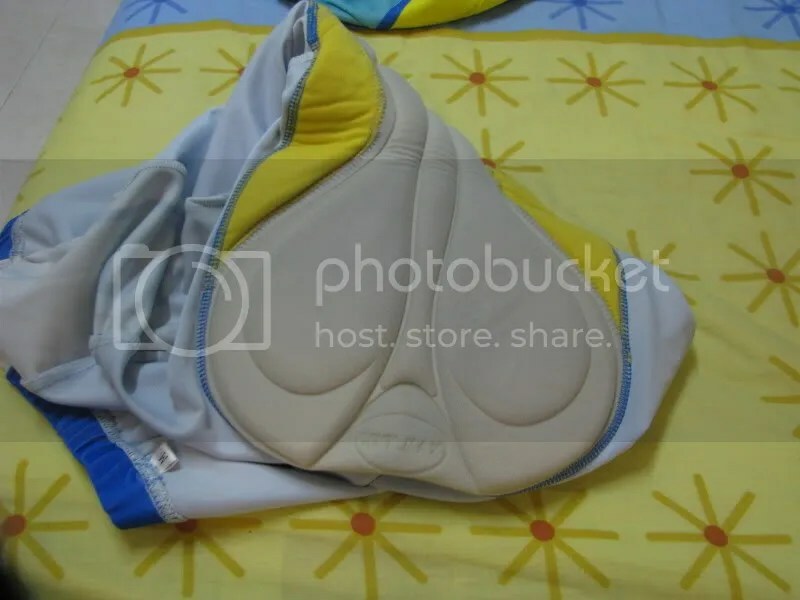 The Accu3d padding is very much thinner and according to the shimano website it has “a natural fit” for each rider and consists of two separate layer.Whereas the counterfeit uses a generic coolmax padding. Upon wearing it, i felt that the counterfeit tights interferes with my riding as the padding is somehow uncomfortable upon riding it as the entire padding somehow is thick. Whereas the accu3d tights somehow is more comfortable as the padding somehow is just covering my arse and not the whole groin area. Though the two prices may differ by quite abit,the differences between the two are very minute. 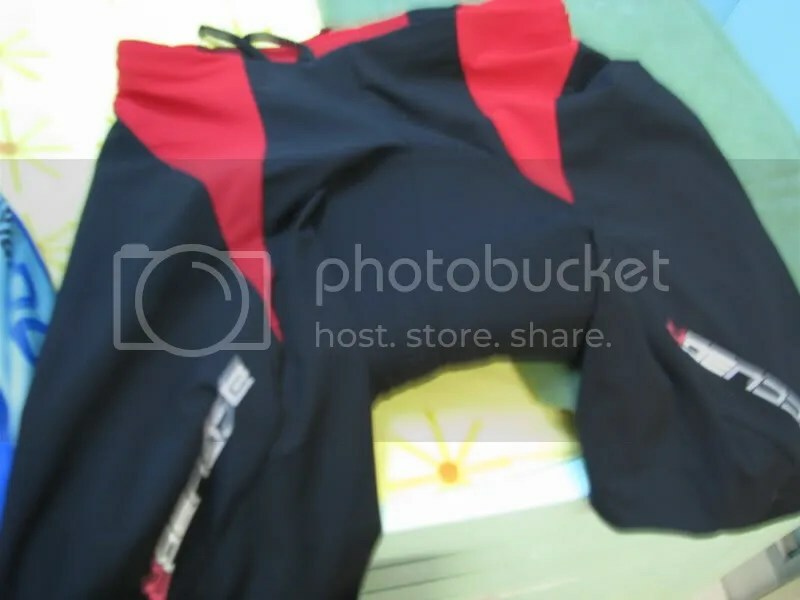 Though I don’t like the counterfeit set and am not using it due to the uncomfortable padding.Important is to buy things that fit and no matter how expensive a piece of clothing can be, it will be the most underutilized piece of clothing if you are uncomfortable in it. 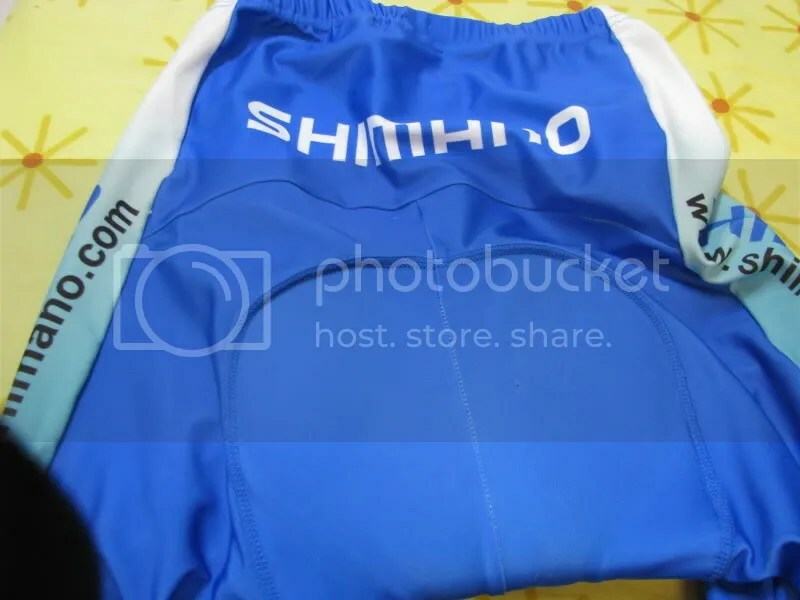 While I am able to see and feel the clothing of the accu3d shimano jersey set,for the counterfeit jersey I may be lucky to see and look before buying it but for the many who are buying it online,while I am not a big fan of piracy, as long as it fits you why not ?